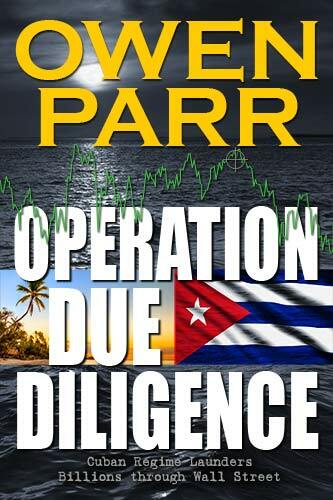 You too can enjoy hours of entertainment in the pages of Parr’s novels, as thousands of readers have already experienced. Test your sleuthing capabilities and fall in love with the well-developed characters. Travel the world, as Parr takes you on trips to various settings many of you have already visited. New York, Prague, Barcelona, Virgin Islands, Cuba, South Beach- Florida, to name a few. 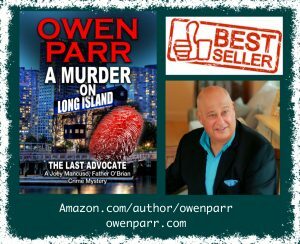 MARCH 2019 A Murder on Long Island Hits Best Seller List in Amazon/Kindle’s – Legal Thrillers and Private Investigators categories. 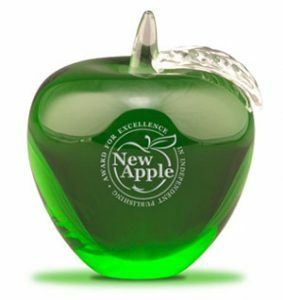 February 2019, Owen’s The Murder of Paolo Mancuso wins ‘Official Selection’ Award by New Apple Literary Services in the Crime-Legal genre. 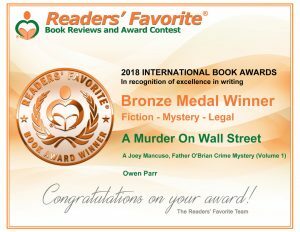 2018 Bronze Winner Readers’ Favorite International Awards for A Murder on Wall Street – Fiction – Mystery- Legal genre. When I read fiction, I want to be entertained and take a break from reality and the many issues surrounding our lives. 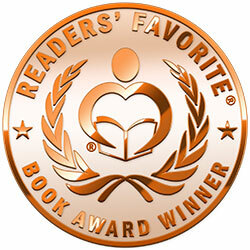 Through my novels, my goal is to entertain the readers and have them get involved with my characters and the plot. 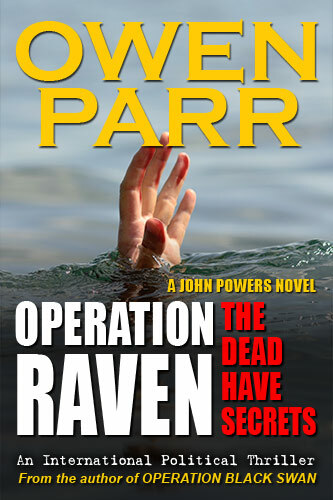 I try to infuse facts and fiction so that in every novel there are opportunities to learn. 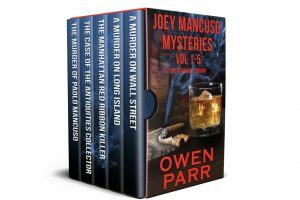 But don’t get me wrong, these are not textbooks, they are suspense-filled mysteries with a touch of romance , humor, and excitement. I hope you enjoy reading them, as much as I enjoyed writing them. “Please contact us with your comments, and remember; reviews are highly appreciated.” Owen. If you would like to buy an autographed copy, you’ll be able to click on the “buy now” button on each of the pages. 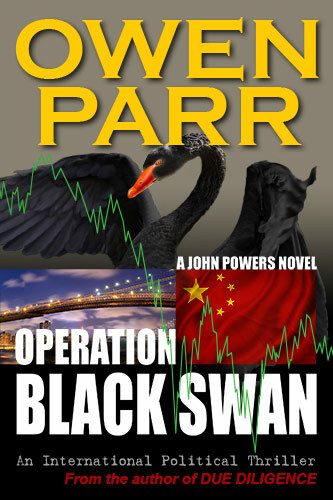 Use you credit card to pay, and as a ‘thank you,’ enter Owen1 in promo code for a discount on every book you order. Now in his “How To Sell” self-help book, Owen shares his top selling principles for success that he has practiced for over 40 years in the sales profession. A “starter match” for anyone looking to get into sales or wallowing in the valley of mediocrity and just needs that new spark to light the fire, go for it. 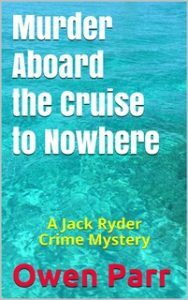 All books are available in three formats; paperback, eBook, and audio from the Amazon site. Also available at BarnesandNoble.com & iTunes. We support our troops. Please click on the logo below and connect with Operation SHOEBOX. Your old books and many other items are shipped to our troops worldwide.